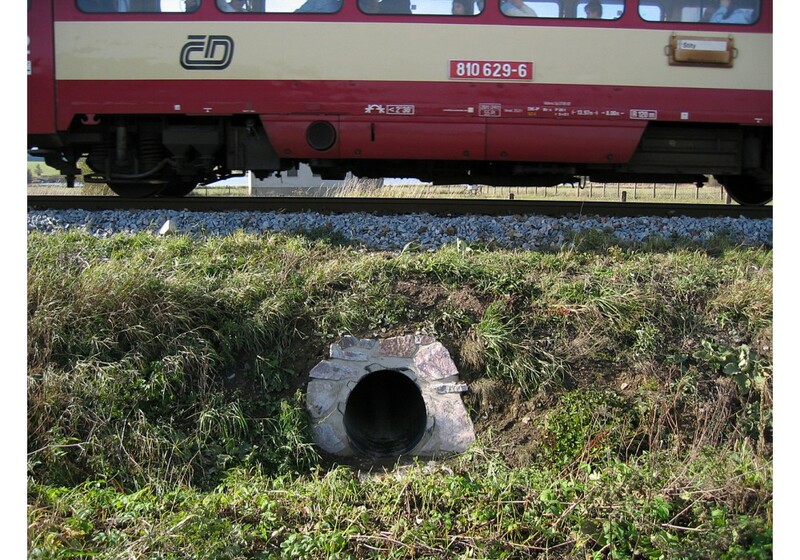 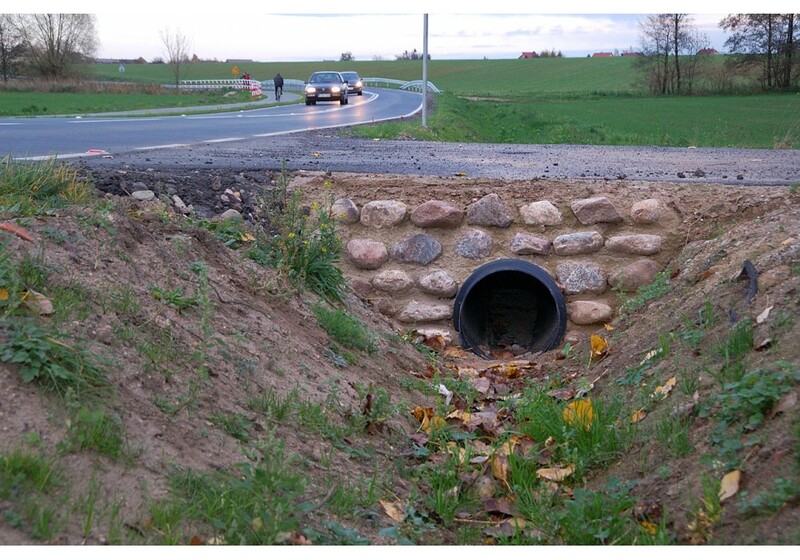 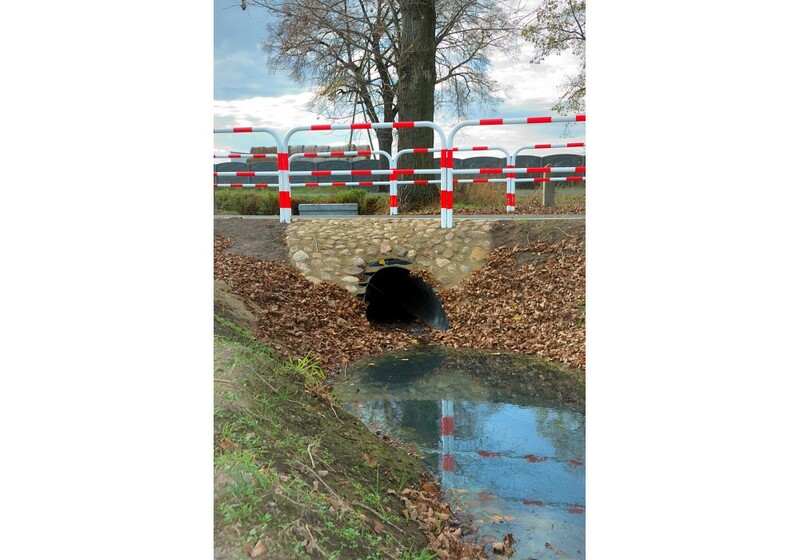 PECOR OPTIMA® system is widely used in civil engineering. 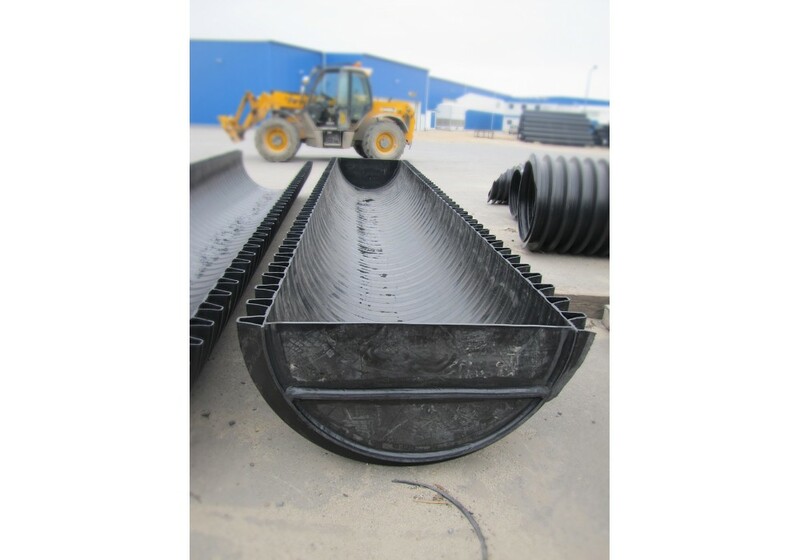 Due to the fast assembly and very good strength and hydraulic parameters,the system has received wide recognition among designers and contractors. 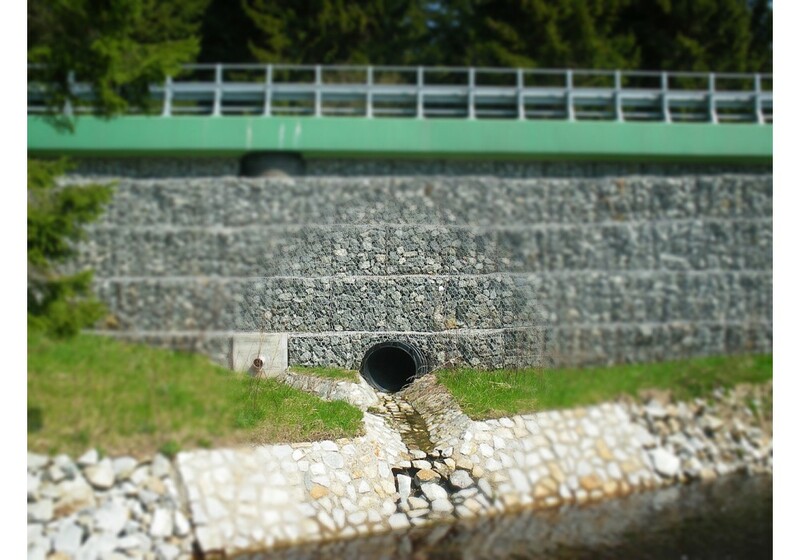 Unique spiral structural wall allows to get the optimal stress distribution on the whole pipe length and ensure the proper ring stiffness on each section. 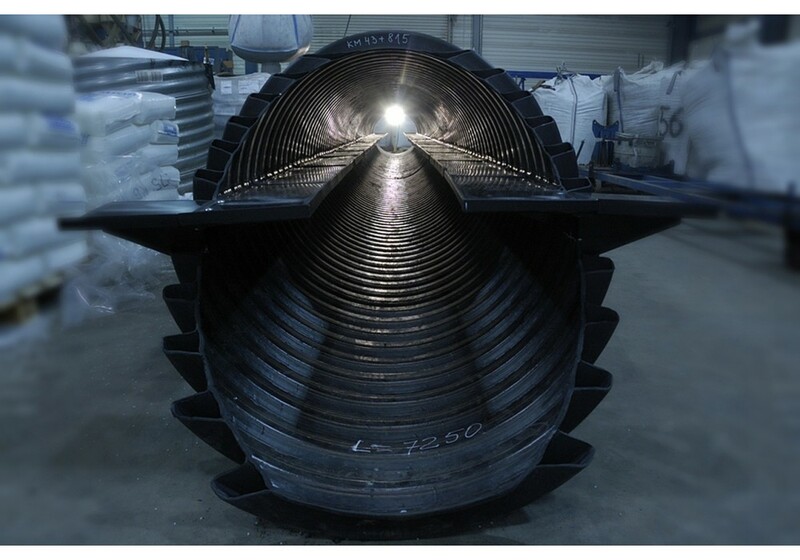 Smooth inside wall of PECOR OPTIMA® pipes allows to achieve good hydraulic parameters. 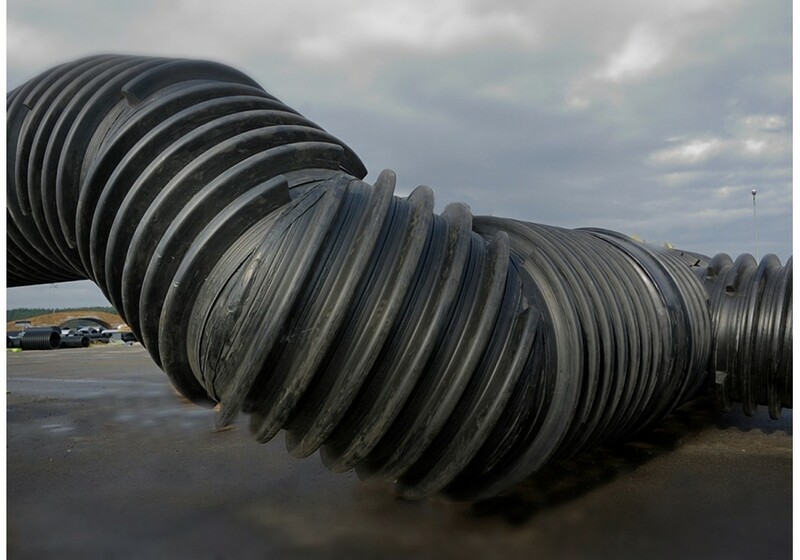 Pipes are light-weighted and easy to assembly thanks to structure and raw material used for the production. 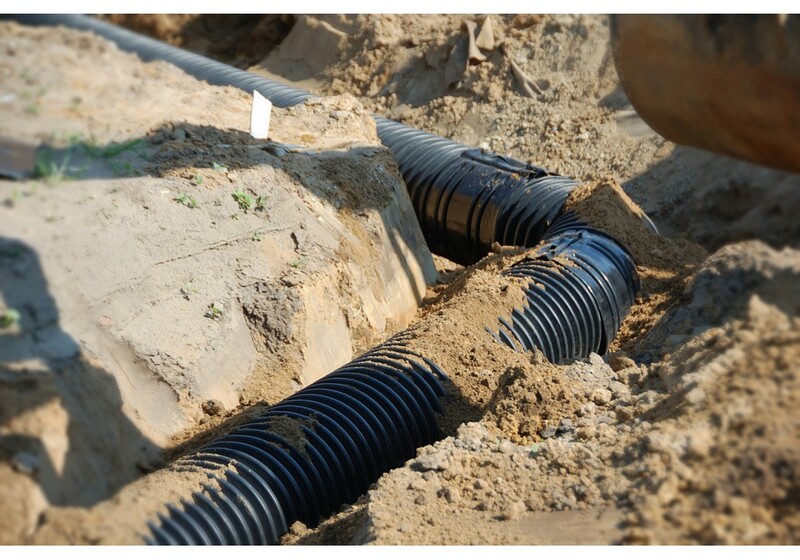 Structue of PECOR OPTIMA® pipes. 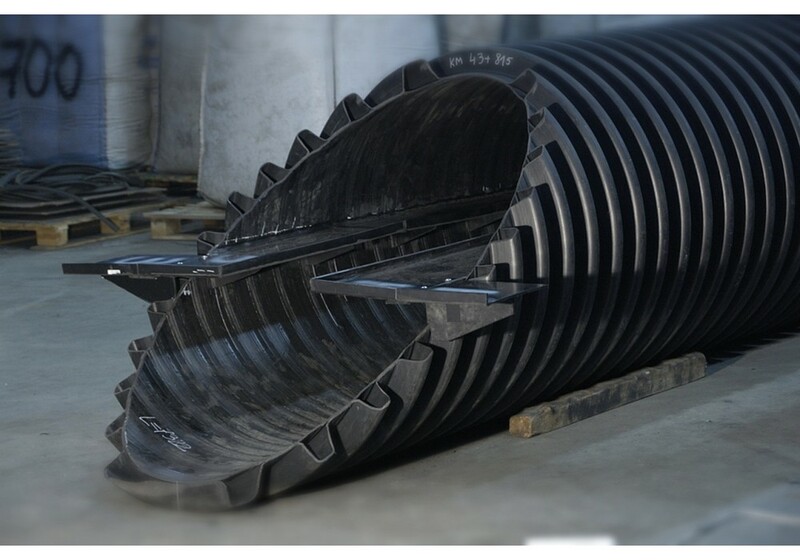 PECOR OPTIMA® pipes are produced with double wall, smooth inside and corrugated outside (figure 1). 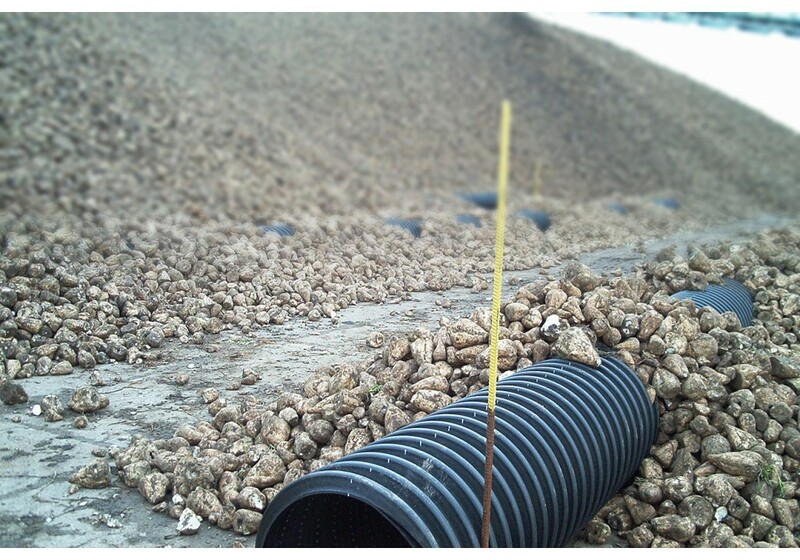 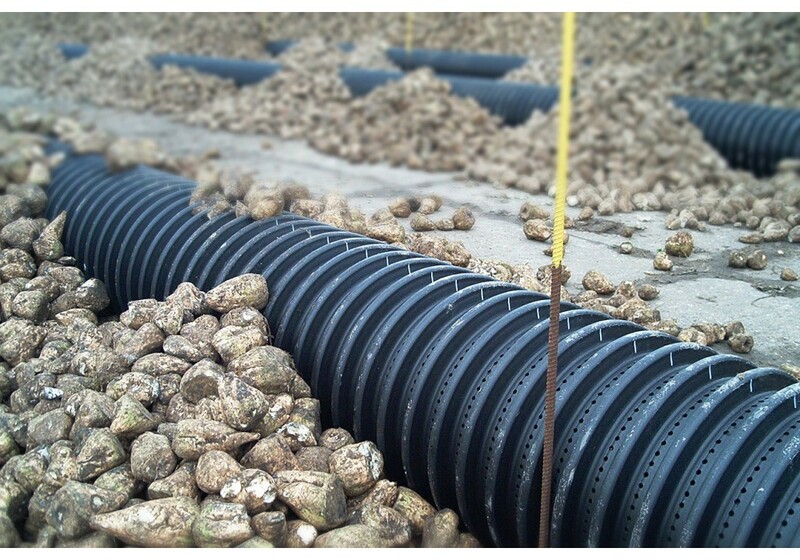 The corrugation is stiff and can interact with surrounded soil. 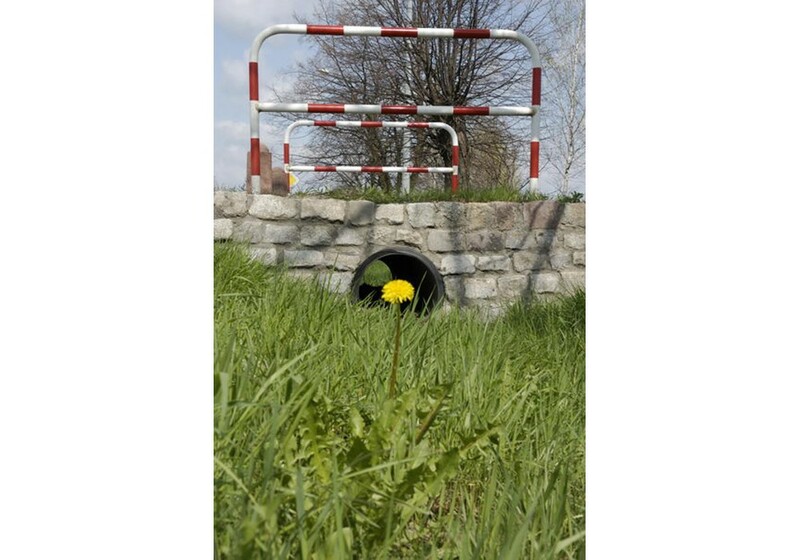 Ring stiffness is parameter that characterizes strength of PECOR OPTIMA® pipes. 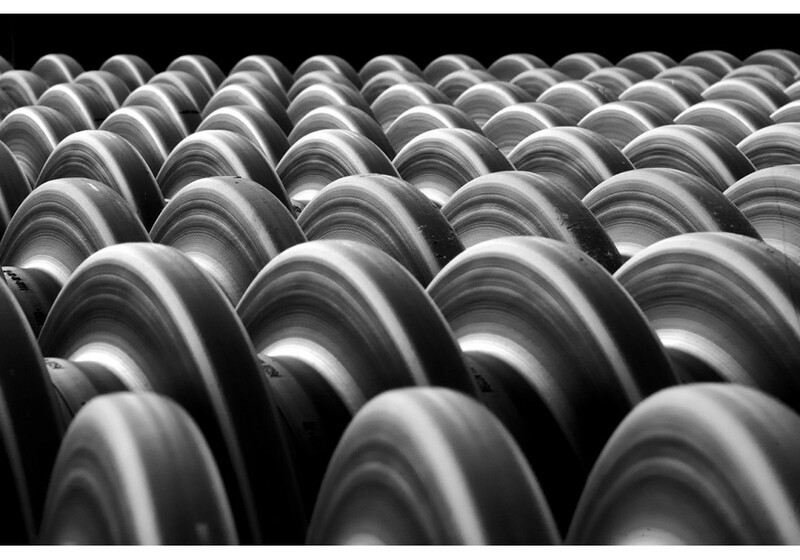 This value is specified by the producer for each production batch. 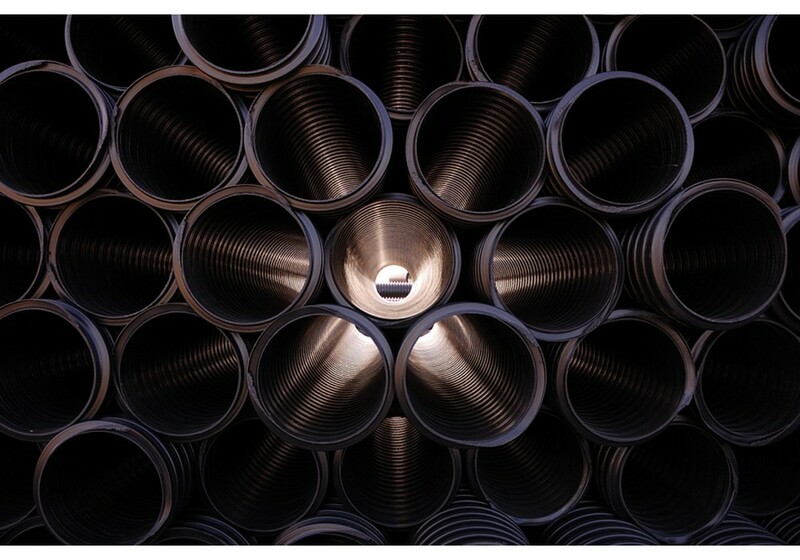 Nominal ring stiffness of PECOR OPTIMA® pipes means the minimal value that is guaranteed for each batches. 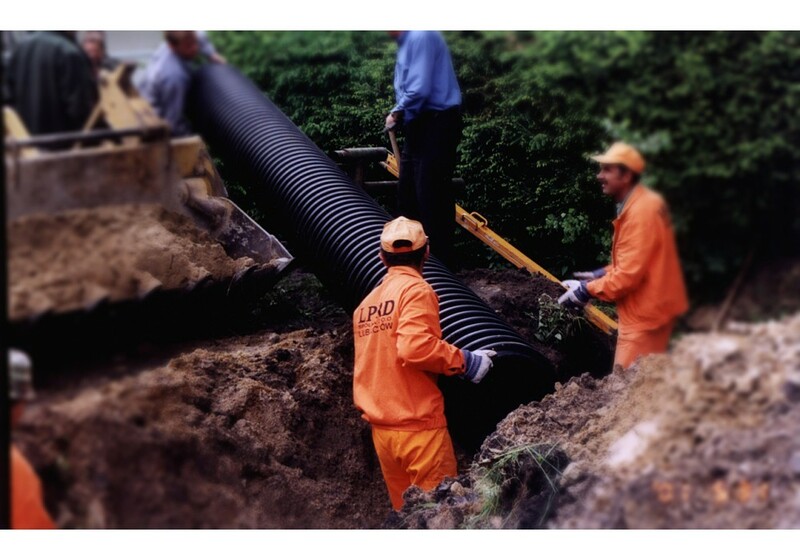 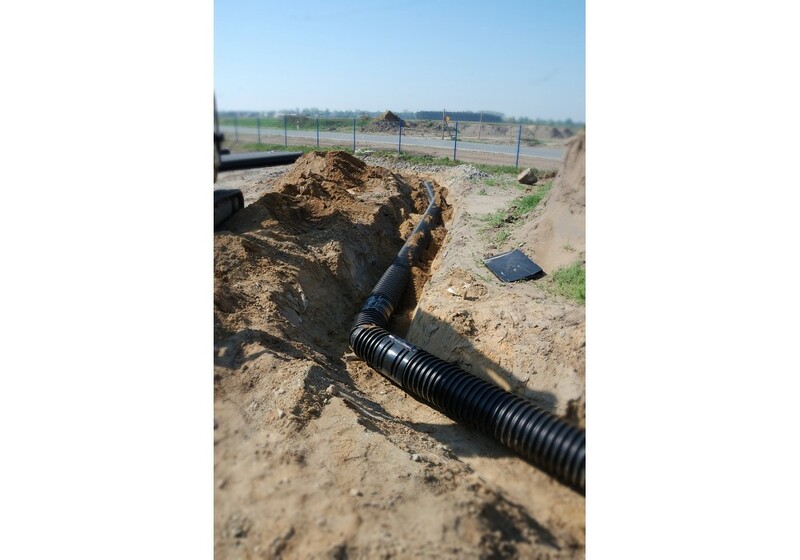 The standard lengths of PECOR OPTIMA® pipes are L= 6 m, 7 m, 8 m (pipes from DN 300 mm to 1200 mm). 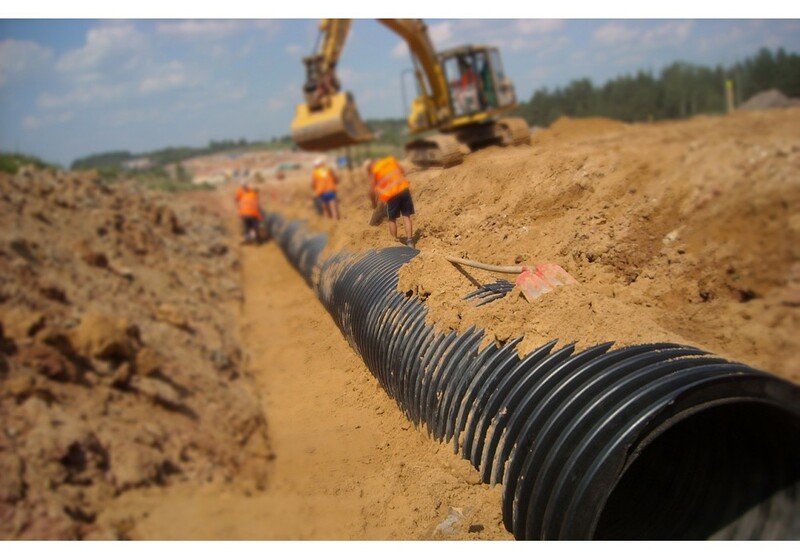 PECOR OPTIMA® pipes in DN 200 mm are available in length of 6,0 m.
Using PECOR OPTIMA® pipes enables an accurate adjustment of both ends to slope and required angle. 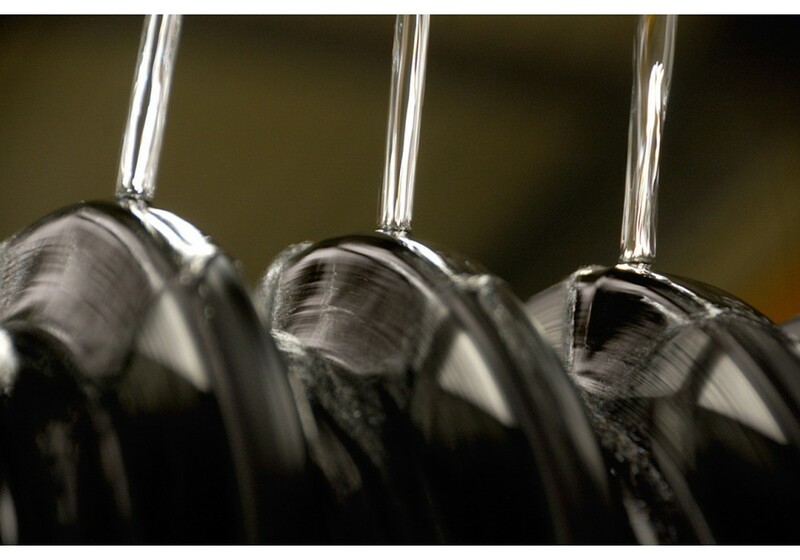 Bevel cut can be done on one or both sides with full bevel (Fig 1c) or step bevel (Fig 8b). 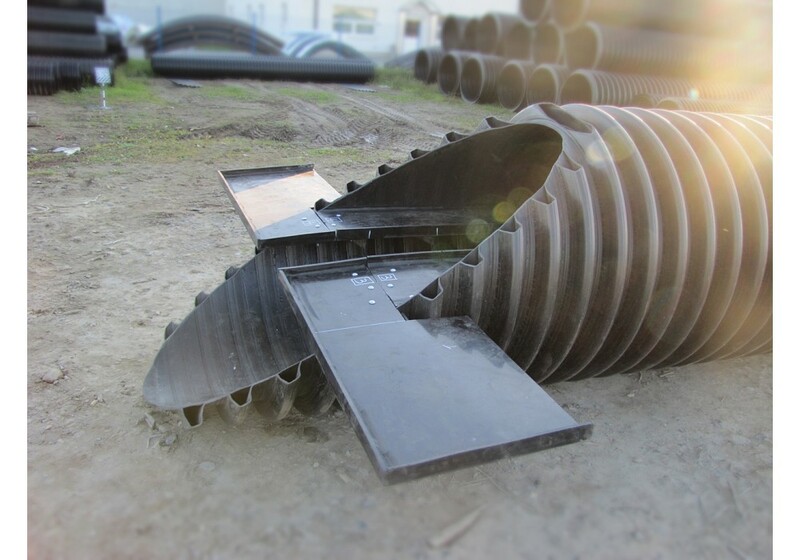 It is recommended to use vertical step of 1/3 the height of the pipe. 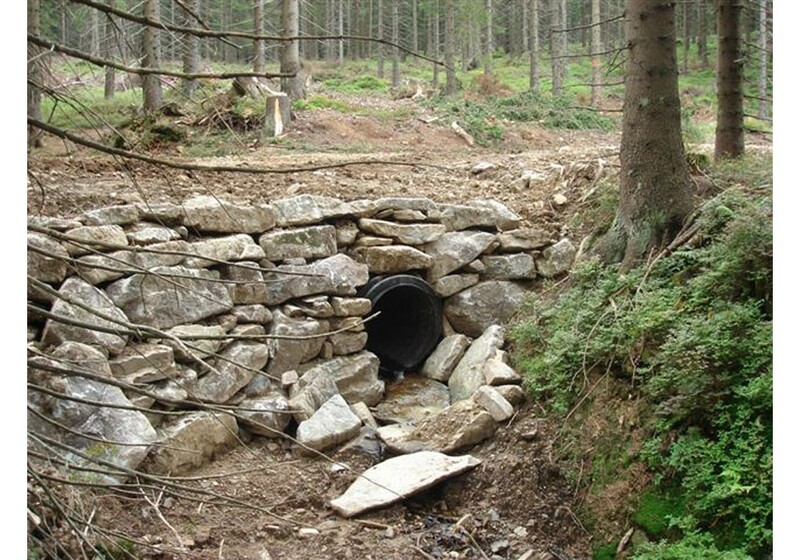 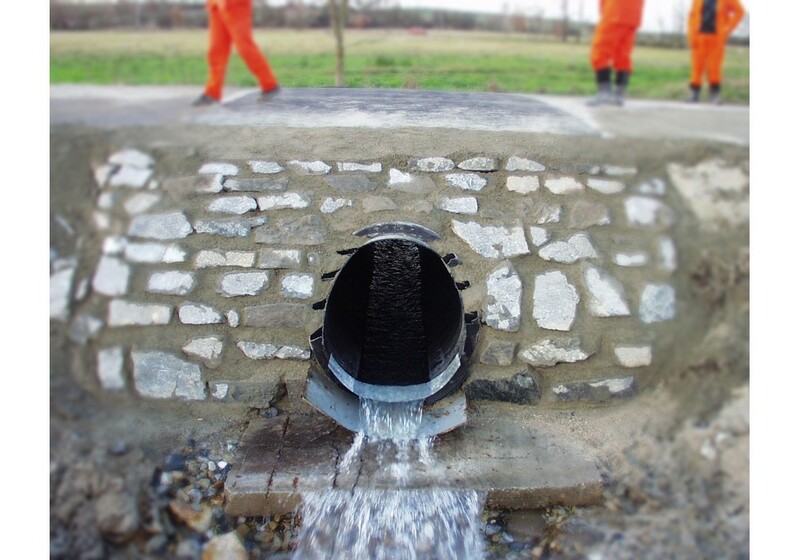 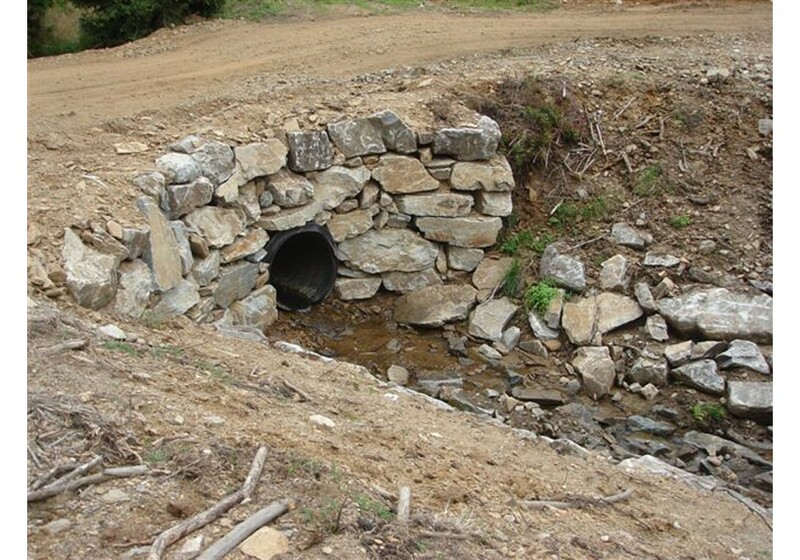 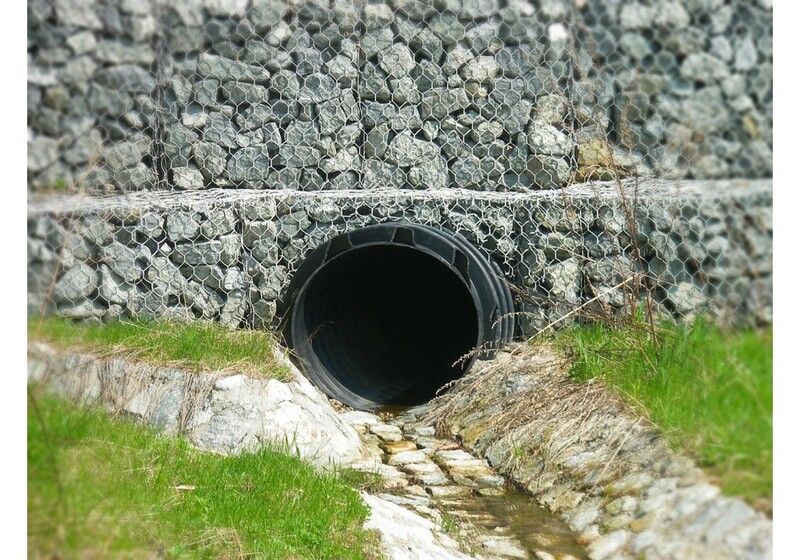 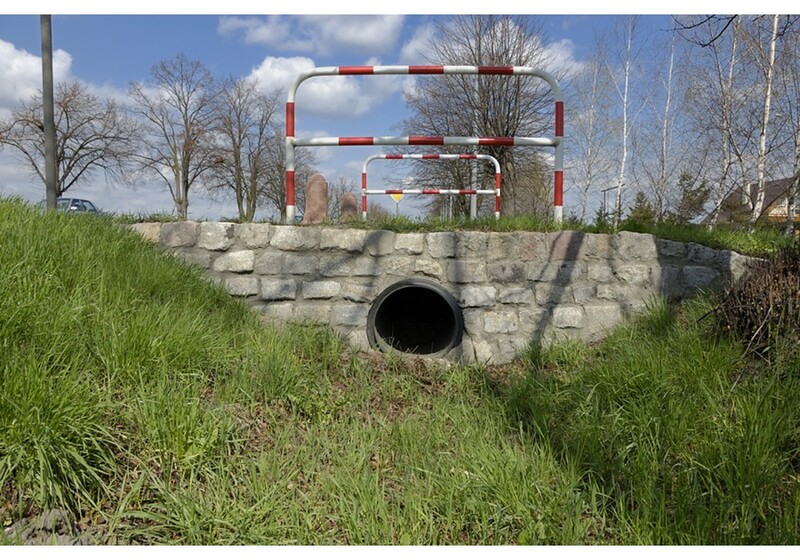 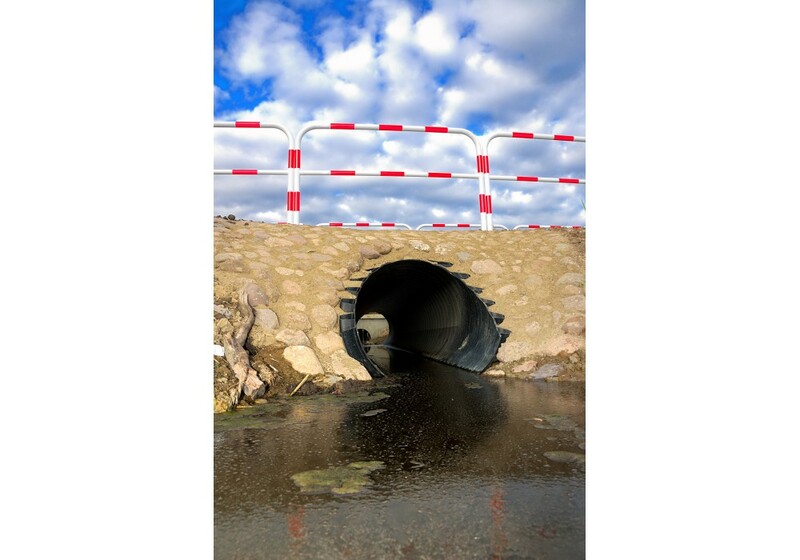 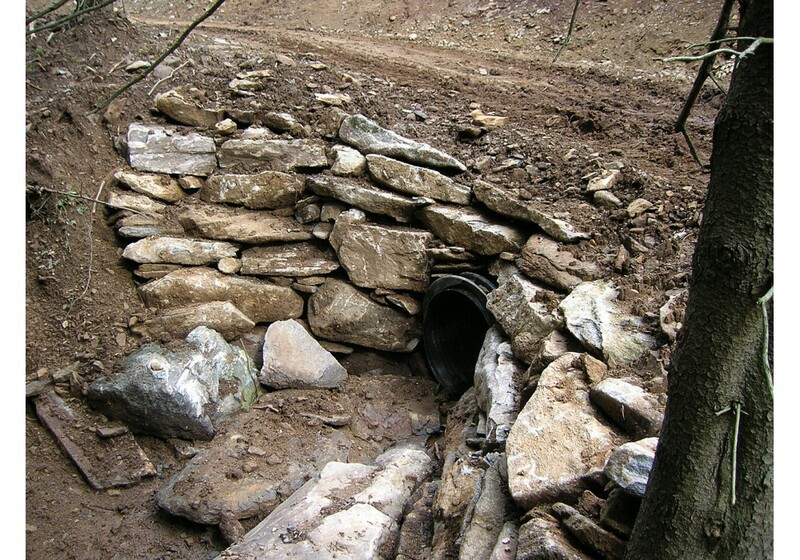 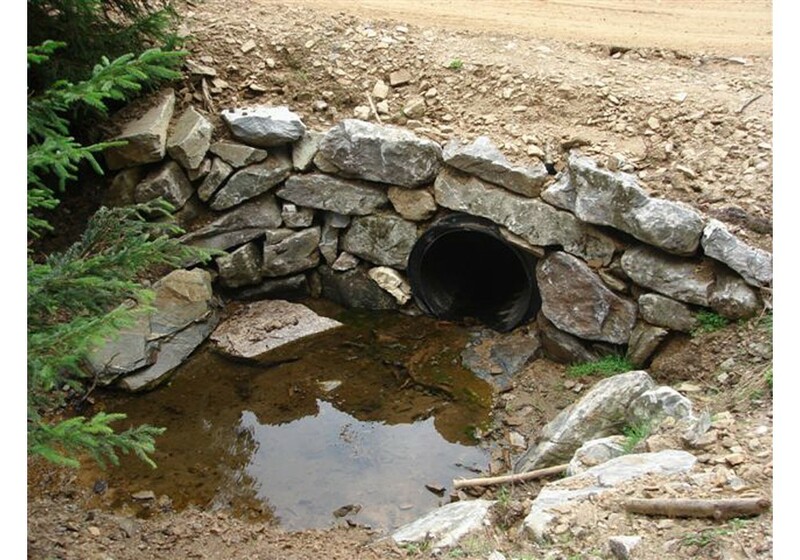 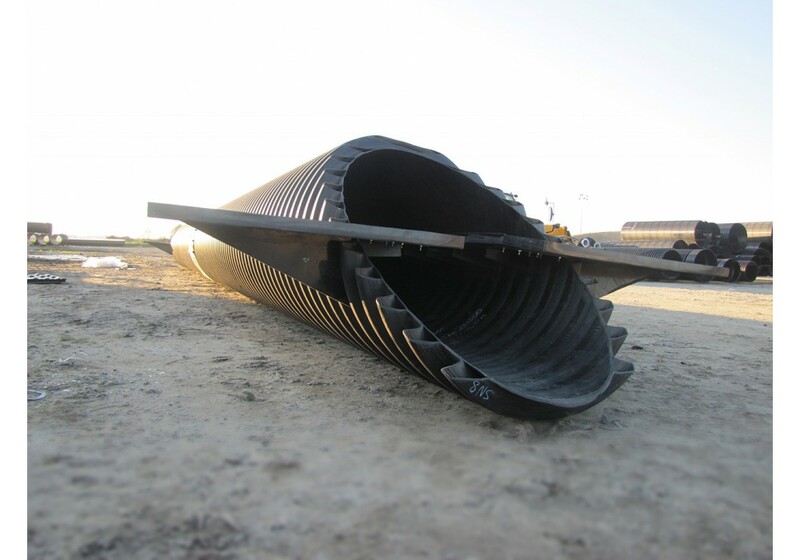 PECOR OPTIMA® culvert pipes in ring stiffness SN8 can be used for each class of live load. 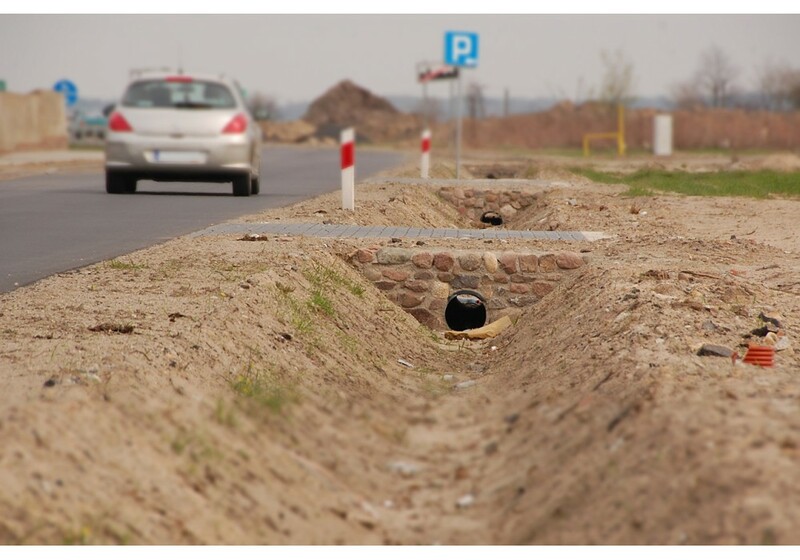 PECOR OPTIMA® pipes can be used as curved in plane and profile. 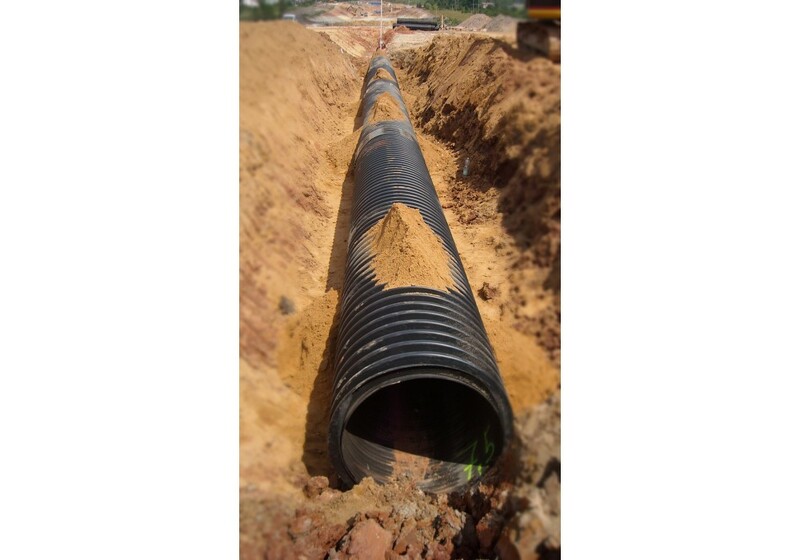 Broad range of fittings (elbows, T-pipes, reductions), which make up complete system, is used.